The idea that NASA has encountered Alien life during the Apollo missions has aroused the curiosity of thousands of experts in the field for decades. Ever since NASA successfully landed on the moon, people have wondered whether or not the astronauts on the lunar surface—and during their trip to the moon—witnessed things they couldn’t rationally explain. In other words; Alien spaceships and structures on the moon’s surface. These questions were quickly turned into a conspiracy theory, and people who argue that the Apollo astronauts witnessed inexplicable things during their trip to the moon were called out as conspiracy nuts. To date, the United States is the only country to have successfully conducted manned missions to the surface of Moon, with the last Apollo mission departing the lunar surface in December 1972. For nearly half a century—46 years to be precise—space agencies around the globe have avoided going to the moon. Was it due to extremely high costs? Risks? Or is it that the moon is simply not an interesting place? The truth is that today, 46 years after the last successful moon landing we have much better technology than we had 46 years ago. Money isn’t an issue, for we always find money for things we want and need. The moon is perhaps one of the most interesting places in the solar system, and numerous experts have claimed it is imperative for humans to establish a colony on the lunar surface. So, what’s keeping us from landing on the moon? A man called Bob Dean may answer the above question. Mr. Dean is retired US Army Command Sergeant Major who served for 28 years. 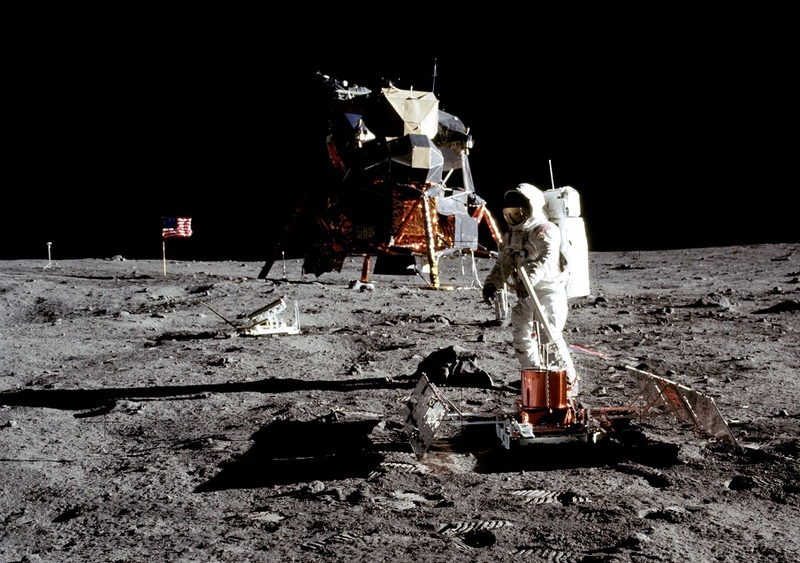 He has given a number of interesting lectures, providing a wealth of information about not only the moon landings, Apollo missions, but also corroborating what numerous whistleblowers have said in the past. During the Barcelona Exopolitics Summit, on July 25, 2009, Mr. Dean released a set of amazing images. He also explained the Apollo missions, and what astronauts encountered unlike anyone before him. 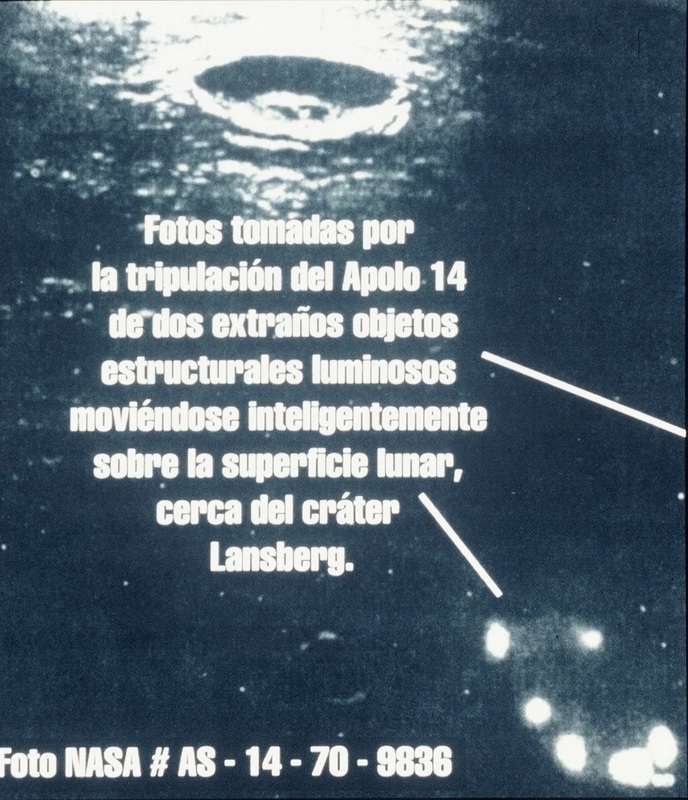 During the summit, Mr. Dean released to the public a set of fascinating images supposedly captured by astronauts of the Apollo 12 mission, including an image showing mysterious spacecraft several hundred feet in diameter. “It appears that on the morning of the 2nd of February 1961, World War III almost started. It was involved in the flyover of large numbers of circular metallic craft, flying in formation, very obviously under intelligent control,” said Mr. Dean during the lecture. Soon after the mysterious sighting that nearly triggered WWIII, a study of the occurred took place. “…the conclusion was there were four different groups involved,” explained Mr. Dean. 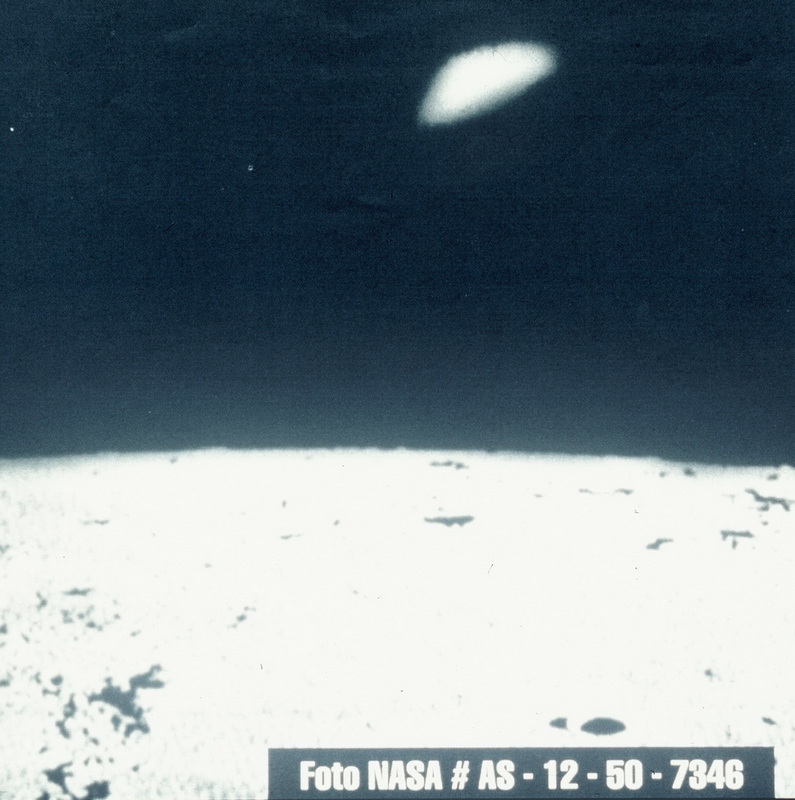 This image comes from the Apollo 12 mission, Apollo Systems 12, roll number 50, negative number 7348. 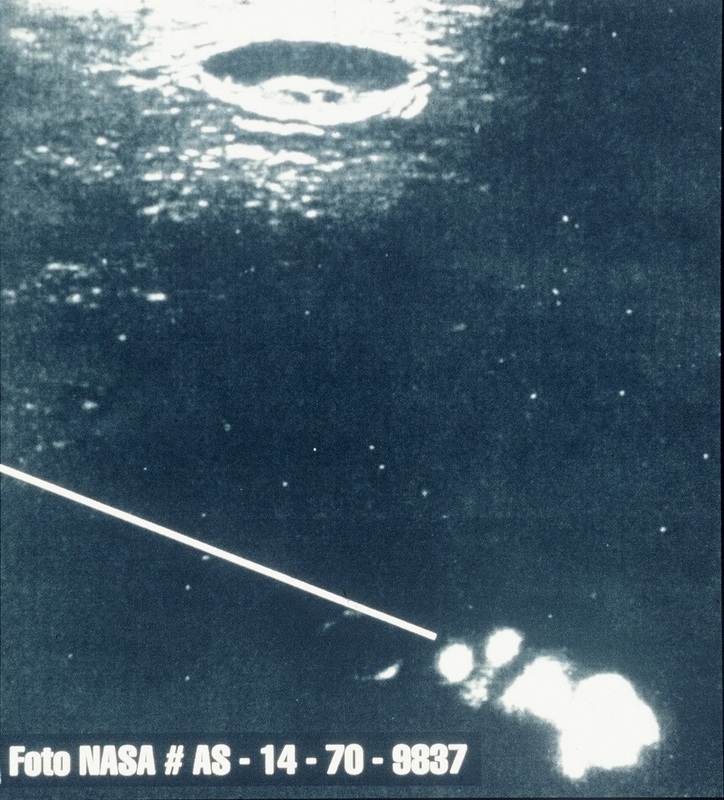 A mysterious object was sighted by Apollo astronauts as they were orbiting the moon. The image seen below was taken by Astronaut Neil Armstrong. 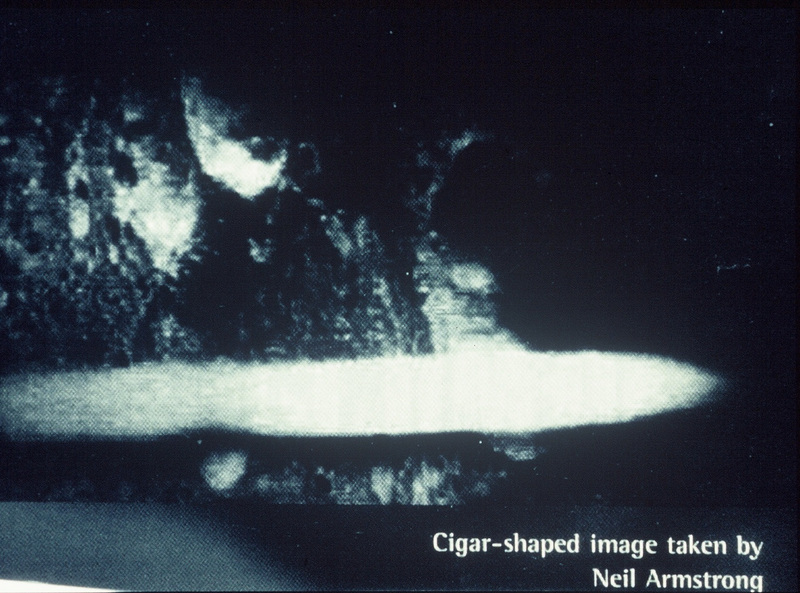 While the astronauts were looking out of the window of their little craft, this cigar-shaped object flew by. 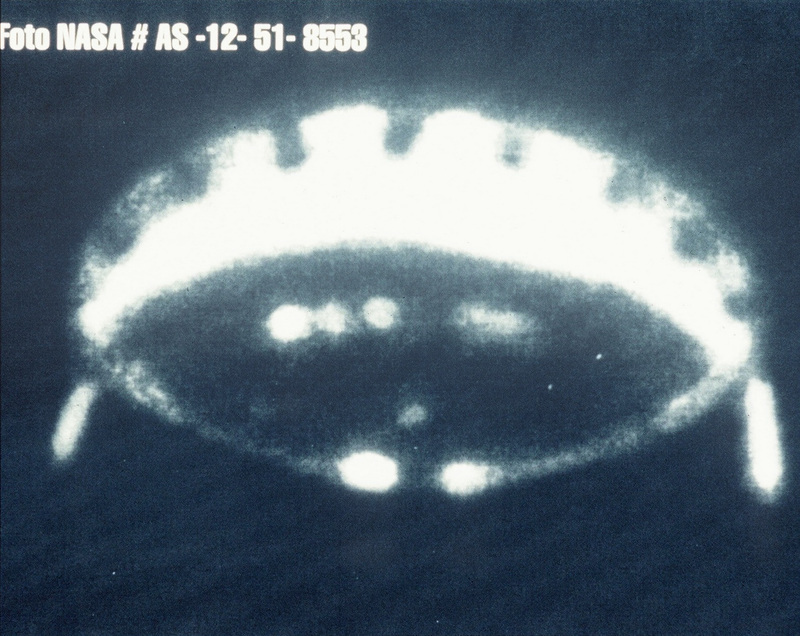 The next image, says Mr. Dean, shows a mysterious disc-shaped object with several hundred feet in diameter. It was snapped while astronauts made their way to the surface of the moon. Are these mysterious spots alien structures on the lunar surface? Mr. Dean continued showing evidence gathered by astronauts from the Apollo 13 mission. 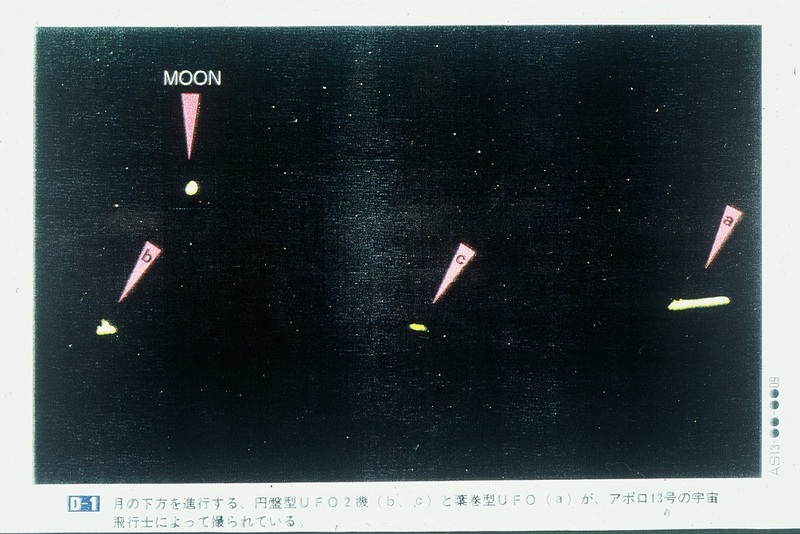 The below image, says Mr. Dean, where taken as Apollo 13 astronauts were traveling to the moon when a number of things began happening. Some strange objects were appearing outside the windows of the spacecraft, so the Apollo 13 Astronauts grabbed their Hasselblad cameras and started taking pictures of what they had seen. This photograph below shows three different objects. 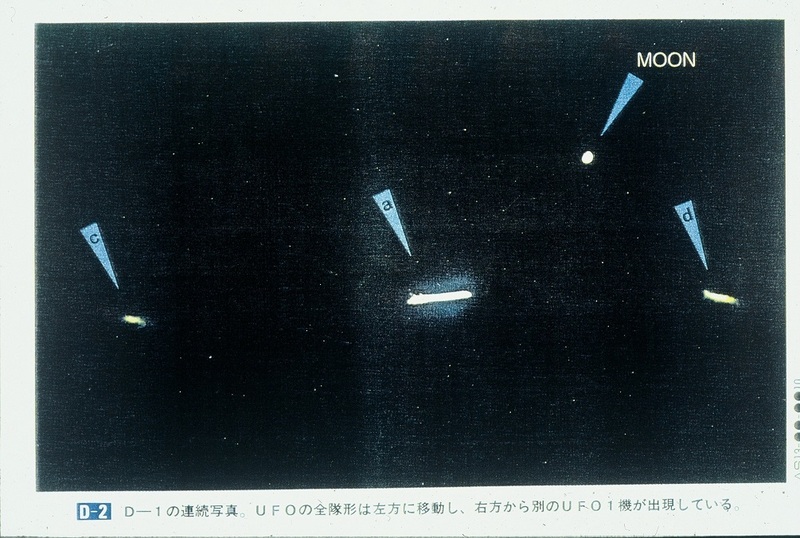 Another image of the Apollo 13 ‘UFO’ encounter, as noted by Mr. Dean. Read the entire transcript and view more images here.